Celebrations include Navy Day, the Guayabitos Motofiesta, the festival surrounding the commemoration of the Batalla de Santos in Mexcaltitán, the RHA Festival and the 57th Annual San Blas International Sport Fishing Tournament. The Riviera Nayarit Convention and Visitors Bureau’s Groups and Events Department recently announced the list of events on the Destination’s calendar for June, which will take place in different locations along the coast of the beautiful state of Nayarit. Lovers of electronic music—particularly the house style—will surely enjoy this festival in La Cruz de Huanacaxtle, which presents a stellar lineup headed by Green Velvet, Claptone, Dimitri From Paris and the Purple Disco Machine, with over a dozen additional Djs. 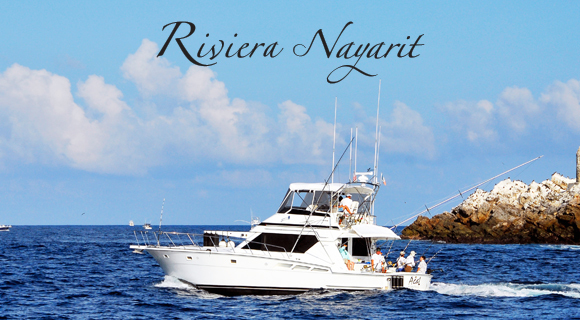 One of the Riviera Nayarit’s signature events, the San Blas International Sport Fishing Tournament celebrates its 57th year of adrenaline-pumping moments for lovers of deep-sea fishing.